독산성은 다른 이름으로 독성산성이라고도 한다. 선조 25년(1592)12월 임진왜란 중에 권율 장군이 전라도로부터 병사 2만여 명을 이끌고 이 곳에 주둔하여 왜병 수만 명을 무찌르고 성을 지킴으로써 적의 진로를 차단했던 곳이다. 독산성이 언제 만들어졌는지 분명하지는 않으나 원래 백제가 쌓은 성일 것으로 추측되며, 통일신라시대나 고려시대에도 군사상 요충지로 쓰였을 것으로 본다. 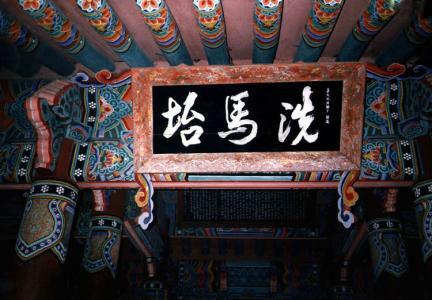 선조 27년(1594) 백성들이 산성을 쌓고, 임진왜란이 끝난 선조 35년(1602)에 당시 부사 변응성이 다시 보수하고, 그후 정조 16년(1792)과 20년(1796)에도 다시 공사했다. 성 둘레는 1,100m이고 문도 4개이지만 성 안에 물이 부족한 것이 큰 결점이었다. 이런 결점때문에 이 곳에는 세마대(洗馬臺)의 전설이 있는데, 권율 장군이 산위로 흰 말을 끌어다가 흰 쌀로 말을 씻기는 시늉을 해 보이므로 왜군이 성안에 물이 풍부한 것으로 속아서 물러났다는 이야기가 전해오고 있다. Also called Dokseongsanseong, Doksanseong Fortress was where General Gwon Yul stationed twenty thousand soldiers from Jeolla-do against the Japanese soldiers in the 26th year of the reign of King Seonjo (1593) and mowed down a great number of the enemy’s forces and prevented the fortress from being captured by the enemy. 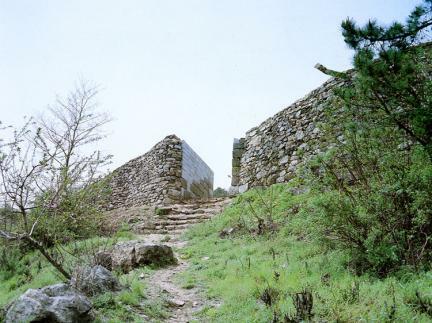 It was not clear when Doksanseong Fortress was built, but it was likely constructed during the Baekje Period, serving as a strategic point of troops in the Unified Silla Period and Goryeo Period. 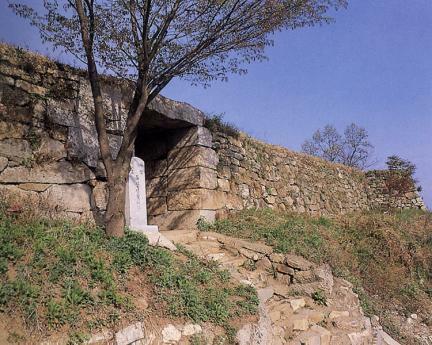 People erected the fortress in the 27th year of the reign of King Seonjo, and Byeon Eung-seong modified it in the 35th year of the reign of King Seonjo (1602) after the Japanese Invasion ended. 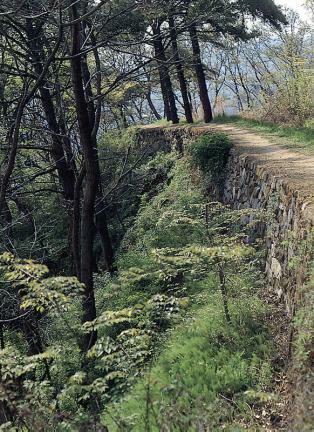 It was repaired in the 16th and 20th years of the reign of King Jeongjo, and again in 1792 and 1796. It had circumference of 3,240 meters and 4 gates, but the lack of water in the fortress had been considered a great demerit. 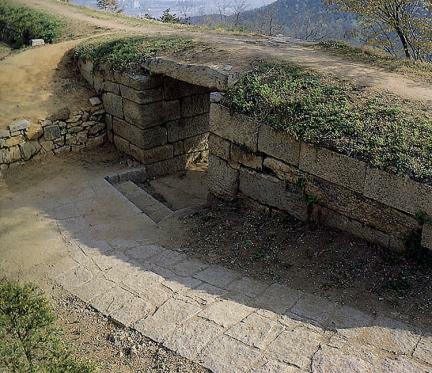 In relation to this demerit, according to the legend of Semadae, the Japanese enemies thought that there was an abundant supply of water in the fortress when General Gwon Yul led a white horse and pretended to wash it with rice, so the Japanese forces withdrew.